No. 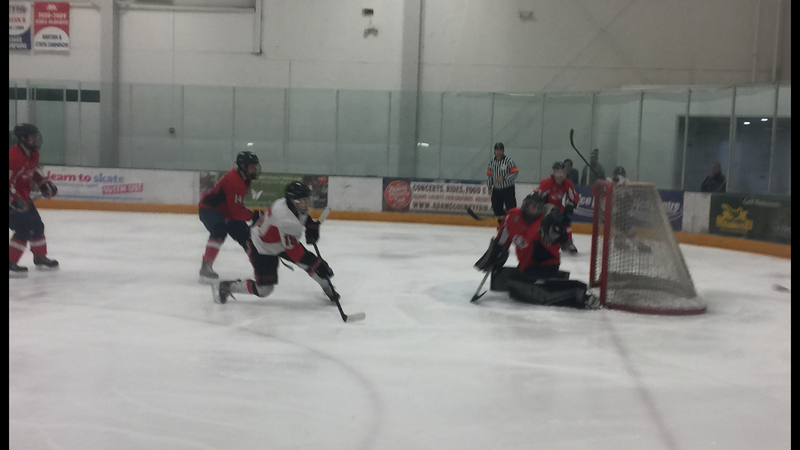 10 Matadors ice hockey team earned a bid in this year’s West Regional Tournament in a win-or-go-home elimination tournament and was eliminated by No. 11 Metro State University, Denver Roadrunners. Riding the only three game losing skid all season, the 25-8-0-1 Matadors were looking to regain momentum after failing to repeat as Los Angeles Kings College Cup Champions last week. Returning to the lineup from suspension, defenseman Levi Bolls and winger Ellis Bourgoujian looked to make an impact on the game. With only scoring a goal in the last nine periods, top goal-scorer winger Eli Berengut was also back in the lineup after nursing a broken rib during the Kings College Cup game. During the Matador’s powerplay an intercepting Roadrunner took the puck from MSU Denver’s zone, skated toward CSUN goaltender Brandon Kalvoda and slipped it past Kalvoda’s five hole. Though still nursing a sore groin, and suffering kidney stones, captain Alex Reints received a pass from Berengut and Reints buried the puck in the back of the net, finally tying the game. MSU Denver regained the lead in the second, but forward Cam Rorick found linemate Evan Wright battling in front of the net. Wright tied the game for the Matadors for the second time of the night. The Matadors found themselves tied going into the final period. Back-to-back goals from MSU Denver led CSUN to scrap back in the closing minutes of the game. Senior Drew LaGaly battled down low and slipped the puck past the Roadrunner’s goalie. But the goal was waved off because the referee called the play dead before the puck went in. CSUN went on the powerplay in the final minutes and pulled Kalvoda from the net to add an extra attacker. MSU Denver added an empty net goal and the Roadrunners defeated the Matadors, 5-2. The Matadors finished with 25 wins on the season, the most wins this program has ever seen, along with defeating San Diego State University to become the West Coast Hockey Conference champions. CSUN will regroup next season with a younger lineup but seniors Bourgoujian, Sharpshair, and LaGaly suited up for CSUN for their final time. With Reints returning next season, young guns John Michael Laurin, Tereck Morales, Quentin Abaya, Will Lesik, Berengut, and Bolls will lead the Matadors in the fall 2017-2018 season and defend their WCHC title.